The valve spring retainers are now lightweight aluminum instead of steel, and valve spring pressure is lighter for reduced valve opening force. This contributes to superior low-to-mid range torque characteristics due to less power-robbing friction. 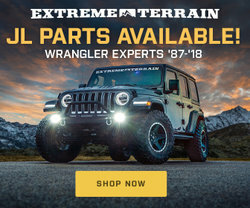 There’s also a new, higher lift cam profile, while valve stem ends are chromium-nitride coated for exceptional reliability and reduced maintenance. The exhaust port shape has a “D” shape instead of round. This increases velocity through the port for excellent throttle response, while enhancing the power feeling of the engine. The newly designed radiator is lower and further back and the oil tank is more compact and repositioned to achieve greater mass centralization. The carburetor bore has a new venturi shape, plus there’s recalibrated jetting and a new accelerator pump. This translates to impressive response when the rider snaps open the throttle, and contributes to superb torquey low-to-midrange power characteristics. The intake boot offers a straight, smooth tract for excellent engine breathing and more power. The airbox is reshaped to tuck neatly into the Bilateral Beam frame. 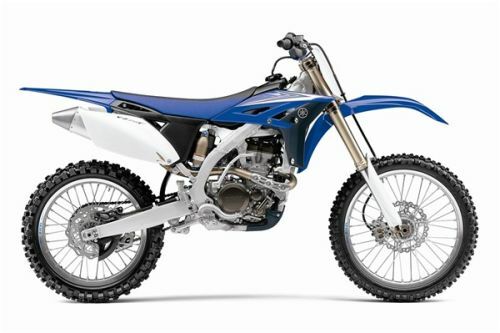 The exhaust pipe has been carefully tuned to optimize engine power, with a muffler that’s 50mm longer and with a narrower core – a design that lets the YZ250F comfortably meet the latest noise standards without sacrificing power. Engineers were able to increase the clutch spring load for stronger engagement, yet, thanks to a recalibrated clutch actuation arm cam ratio, lever pull is actually lighter than before. Third and fourth gear ratios are slightly taller, and third, fourth, and fifth gears are stronger than ever with new drive dog shapes for positive engagement. That gives riders a strong gearbox that’s been carefully matched to engine power characteristics. The Bilateral Beam frame is crafted from a carefully chosen combination of forged and extruded aluminum pieces – 20 in all – all welded together to provide unmatched rigidity balance. The KYB® speed-sensitive front fork delivers exceptional damping feel, responsiveness, and bump absorption characteristics. Damping settings are revised, the piston rods have a new surface treatment, and the oil seal is a new design. The 4-way-adjustable KYB® rear shock has been redesigned to make the most of the Bilateral Beam frame design. It’s lower in the frame for excellent mass centralization, and has new damping characteristics. 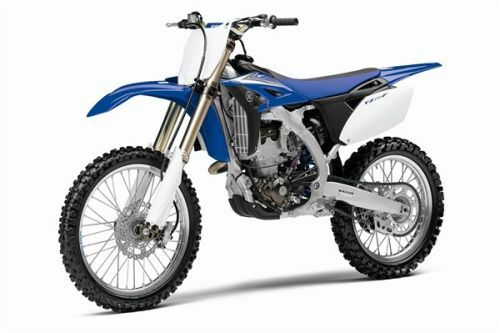 The new tank, seat, and rear fender are flat and the relationship between handlebars, pegs, and seat result in a natural, more forward riding position that facilitates rider movement. The fuel tank has been moved toward the center of the bike for mass centralization. The ProTaper® bars are four-way adjustable, and handlebar mounts and footpegs are 5mm higher to optimize rider position on the new chassis.